Our first show house was held in Ellicott City from October 13 to November 2. This show house was put together from scratch in three short months, thanks to the hard work of people like Enalee Bounds and Bette Chambers, the first co-chairmen. 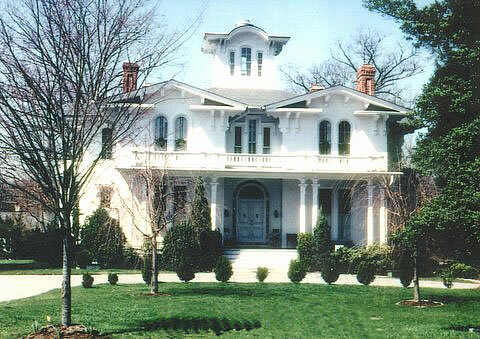 This Victorian Italianate mansion was built in 1857 by Norris Starkweather for the family of Dr. Arthur Pue, Jr., a descendant of the Caleb Dorsey family.